PocketFives all-time money list leader Chris ‘Moorman1’ Moorman took another step towards the $15 million online earnings accolade after taking down the PokerStars $215 Sunday Warm-Up for $39,343. Moorman, who celebrated his 28th triple crown last week, is now just over $250,000 away from becoming the first player to hit the $15 million mark. The Brit continued his excellent form into the Sunday Majors by defeating former Sunday Million runner-up ‘dennysramos2‘ heads-up to claim his 360th recorded victory and extends his lead over Nicolas ‘PokerKaiser’ Fierro, atop the all-time money list. The U.K.’s Tommy ’88pro88′ Lawrence won this week’s PokerStars Sunday Million after a three-way-chop with Canada’s ‘chonseSTEE‘ and ‘designerboy’. The tournament saw 5,598 entries create a prize pool $1,119,600 of which Lawrence took the largest share post-deal banking $131,164 and the title. The result saw Lawrence smash his former highest-cash of $10,571 which came in 2016. ‘chonseSTEE’ and ‘designerboy’ collected $97,728 and $102,896 respectively. ‘Bigfish112392’ also had a brilliant evening on the PokerStars client after victory in the $2,100 Sunday High Roller as well as a seventh-place finish in the Sunday Million for combined total winnings of $74,341. ‘Sasuke234′, who came third in the anniversary Sunday Million earlier this year for $539,554, was the Super High Roller runner-up and earned $33,024 for their efforts. Elsewhere on Pokerstars, ‘Randane8’ outlasted former TCOOP-59 champion, ‘newguy89′ to win the $530 Bounty Builder High Roller for $36,846. The tournament saw 872 entries which generated a prize pool of $436,000. 2017 PokerStars WCOOP Main Event champion Steven ‘kale333’ van Zadelhoff won this week’s 888poker $1,050 $100,000 Gtd Whale for $32,500 after beating a field of 61 entrants including former PocketFives world #1 ‘tutten7‘, who came second. Van Zadelhoff also achieved the feat of making the final table of the 888poker $215 Sunday Mega Deep, eventually falling in seventh-place for $2,750, with ‘Streusalz’ going on to win the tournament for $19,250. 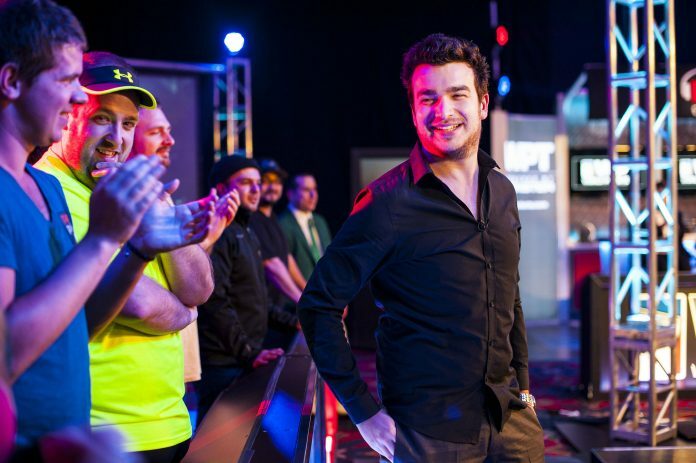 Over on partypoker, ‘thebattler33’ finished in the top three of $2,600 Sunday Major Super High Roller for the third time in as many weeks after securing the bronze medal for $22,475. This result follows last week’s second-place finish and their victory in the previous week’s tournament. Micheal ‘mczhang’ Zhang secured the win for $50,375 with ‘ABOUDIABY2’ claiming $34,100 in second. ‘LeoMattosAK’ was the biggest earner on the client after defeating a field of 2,090 players to win the partypoker $215 Super Sunday $500k Gtd Championship Event and its first-place prize of $83,500. ‘Echomaus’ eliminated former Sunday Million champion ‘Aldeberan90’ after a heads-up battle to secure the $1,050 Super Sunday Big Bounty Hunter title and $32,883. It was also back-to-back final tables for ‘Aldeberan90’ in this event after they finished in fifth-place last Sunday. Finally, a shoutout goes to ‘maniakboy’ who finished in seventh and eighth-place in the $2,600 Sunday Major Super High Roller and $1,050 Super Sunday Big Bounty Hunter respectively.